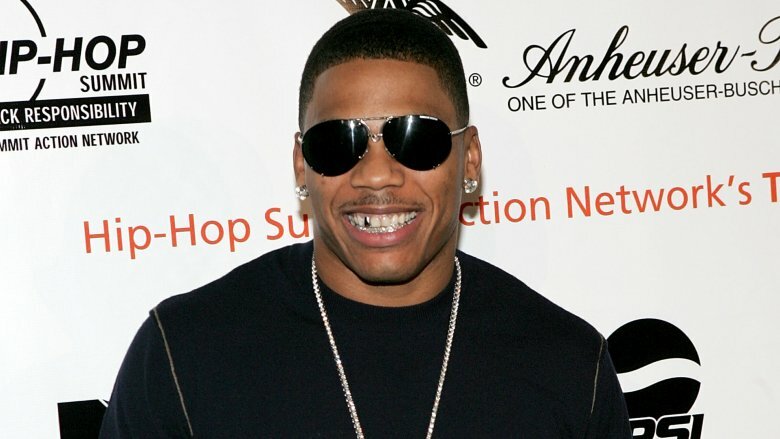 Nelly's voice was heard everywhere in the early aughts. The St. Louis rapper (born Cornell Iral Haynes Jr.) burst onto the scene in 2000 with his colossal hit "Country Grammar," the lead single from his album of the same name. By 2016, Country Grammar had gone multi-platinum ten times over. Nelly's highly anticipated follow-up album, Nellyville, did not disappoint in 2002. Snagging the top spot on the "Billboard 200," the album spawned two No. 1 singles with "Hot in Herre" and "Dilemma." 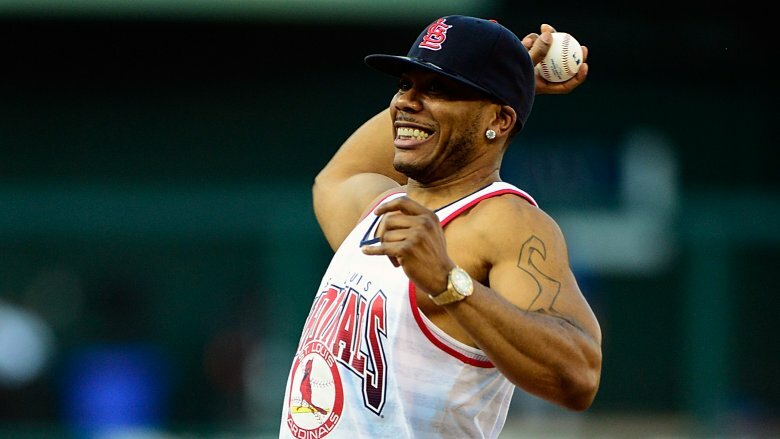 Nelly continued his hot run in 2003 with "Shake Ya Tailfeather" from the Bad Boys 2 soundtrack, earning another No. 1 hit. While the rapper maintained his success through the end of the decade, he then began a slow descent into relative obscurity. While he tends to pop up here and there in certain circles, Nelly's impact on pop culture is only a glimmer of what it once was. Why? Well, there are several possible explanations, so let's dig in and explore what really happened to the band-aid man. Here's the real reason you don't hear from Nelly anymore. 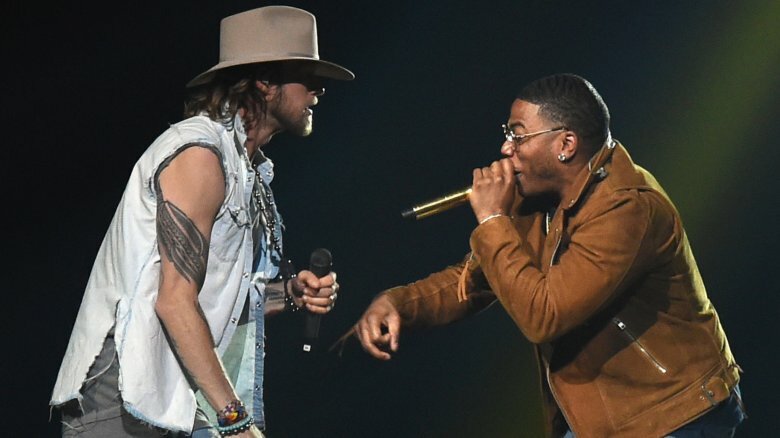 Nelly first dabbled in the country music scene in 2004 by teaming up with Tim McGraw for "Over and Over," but even McGraw said there "ain't nothin' country about this song." However, Nelly returned to country in 2013 on a remix for "Cruise," a track with Florida Georgia Line. Though that hit track might not have been on the radar for hip hop fans, it was extremely popular in the pop music community. He performed the song at the American Music Awards and even toured with the band. Nelly also crafted his own take on a Thomas Rhett country song, "Die a Happy Man." In other words, the rapper Nelly is redefining his signature country grammar. When asked about his transition on The Breakfast Club, Nelly said country fans are different than hip hop fans. "They welcomed me with open arms," he said. "I think they like what they like and, if they like it, they support it. It's not an ego as in what's going on. It's not easy to change their minds once they like it." When Nelly dropped his seventh studio album, M.O., in 2013, he did so on a Monday. This unorthodox drop date was intentional. "We got to shock them somehow," he told The Breakfast Club. "I get it man. I know where hip hop is … It's a young man's game and a veteran's survival." Veteran emcees need to find new ways of integrating themselves into the conversation. "We have to reinsert ourselves into the everyday life of what's going on," he said. The Breakfast Club host Charlemagne put it this way on Vlad TV: "A 15-year-old growing up on Country Grammar is probably 30-something-years old now with kids," he said. "Her priorities are different. She probably still likes Nelly but just not enough to go to his shows, just not enough to go buy his CDs anymore." Charlemagne said that dynamic is the reason Nelly's career has grown "cold" in the hip-hop community. Trouble with the law doesn't always negatively impact a celeb's success, but legal problems can hinder creative development and the business side of things. For an artist like Nelly — who, in 2015, was still reeling from an underwhelming response to his 2013 album — an arrest didn't help at all. 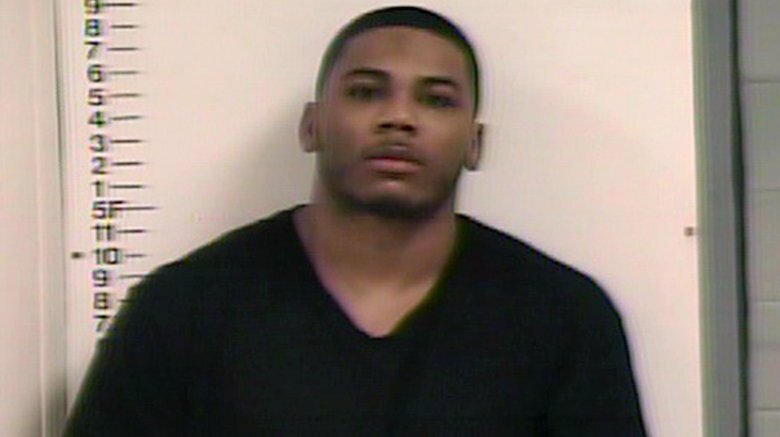 According to People, Nelly was charged with "felony possession of drugs, simple possession of marijuana and possession of drug paraphernalia" after police reportedly found drugs aboard his motor coach outside Nashville, Tenn. Nelly's attorney said the rapper was "not associated" with the contraband. The felony charge was later thrown out; Nelly participated in a diversion program and was slapped with 11 months of probation. If you knew the kind of trouble Nelly has experienced with the IRS, you might forgive him for being too busy to put out new music. In 2016, TMZ reported that "Uncle Sam nailed Nelly with a $2,412,283 federal tax lien," and that wasn't the end of it. According to Forbes, the rapper also heard from the Missouri Department of Revenue because he reportedly owed $149,511 to the state. There's a feel-good story here: In a campaign to help the rapper pay off those debts, Nelly fans tripled his Spotify streams during peak hours, reported The Washington Post. The grassroots campaign reportedly got underway when Spin reported that fans would have to "stream a Nelly joint 402,880,500 times to make a decent dent on his tax issues." 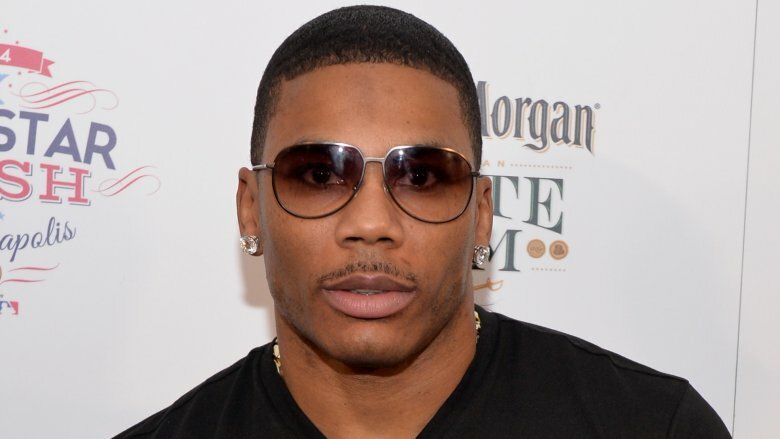 Nelly did, of course, also have to pay taxes on all that extra money earned from the massive influx of streams, but he reportedly wasted no time cooperating with authorities to start paying back what he owes. Perhaps the worst of Nelly's problems have come from his encounters with female fans. First, there was an accusation in 2017 from a woman claiming she was raped on his tour bus in Washington. The case was dropped when the accuser, Monique Greene, refused to testify. She said the public witch hunt that resulted from her claims was too much to handle. Even though that case was dropped, more controversy emerged from it. Two more women claimed they were assaulted by the rapper after shows in England, reported NPR, though Nelly's attorney had strong words for Greene — words that Greene says were meant to intimidate. Rosenblum told TMZ: "It does not surprise me that she wanted to have her story publicized. That is Playbook 101 of a person with an agenda and clearly she has one. The agenda is money, fame and notoriety." We may never know what really happened, but we do know this is not a good look for someone whose career is already floundering. As Nelly prepped to release his album M.O. in 2013, he did just about everything he could have done to promote it. He took part in publicity interviews, he threw out the first pitch at a St. Louis Cardinals game, he dropped a lead single — "Hey Porsche" — that charted on the Billboard Top 100, and he released a track list that featured collaborations with some of the industry's biggest stars. His album should have done well. But it didn't. M.O. only sold about 15,000 copies in the first week and hit just 23,000 sales after two weeks. Nelly played the game the way it's supposed to be played, and he still lost. The poor album sales were a career low. In fact, his previous album, 5.0, sold 63,000 units in the first week, well over twice what M.O. sold over the course of a couple weeks. Yikes. Nelly was introduced to the harsh realities of a changed industry after 5.0 dropped in 2010. In an interview with Vlad TV, he said he learned the hard way that album roll-outs and artist popularity had changed from when he came up. "In the beginning, if I delivered a number one song, we won," he said. This time, "I delivered a number one song, and we didn't win." Nelly also pointed fingers at this record label, suggesting it dropped the ball in some ways. "By the time I got to 2010, the label had changed so much that the people who started working me from the beginning — who got who I was and understood how to work Nelly records, weren't there…"
The Breakfast Club host Charlemagne pushed back against Nelly's assessment. "You just happened to be that guy who caught fire at a great time. So you can't really point at the label and be like, 'All right make this happen for me,' because they didn't make it happen to begin with. You made it happen for yourself." While Nelly has dabbled in acting as far back as 2001, his acting career really gained traction in 2005 with The Longest Yard. He has since been involved in a lot of different shows over the next decade, including CSI: NY, Gossip Girl, 2 Broke Girls, and Real Husbands of Hollywood. When asked about his approach to the acting biz, Nelly told The Breakfast Club that he was "just making the transformation." 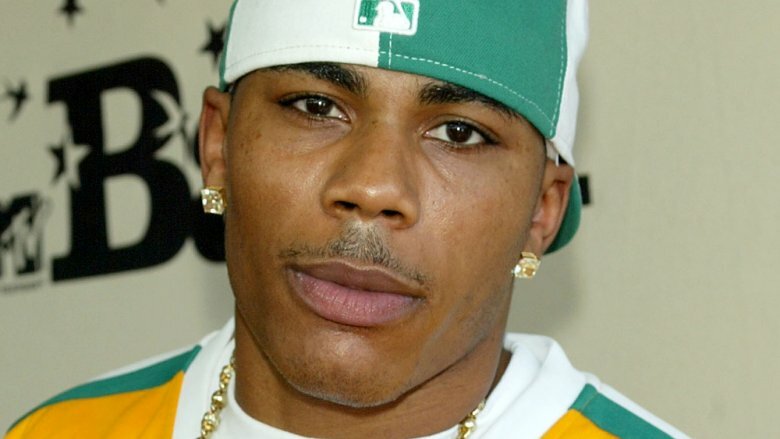 Diversifying his résumé undoubtedly opened more doors for Nelly in the entertainment industry, but perhaps some of those doors were better left closed. In 2014, he signed on for his own reality TV show, Nellyville. According to The Hollywood Reporter, the show would "offer viewers an all-access pass to Nelly's life," but the reality was: Nelly's life wasn't all that exciting. Noisey called the show "dry" and "unrevealing." 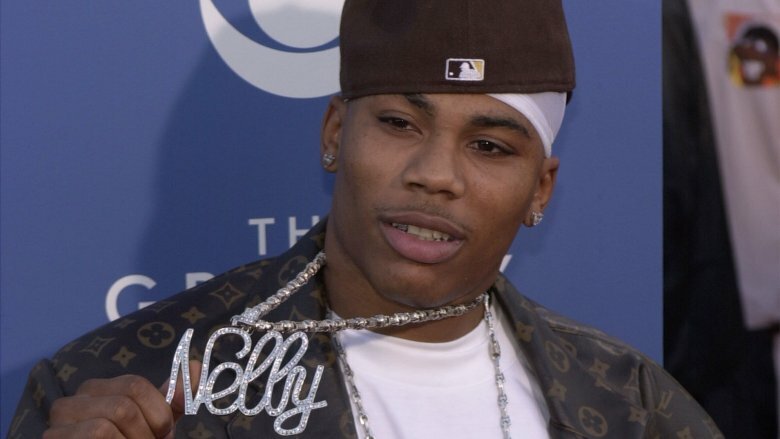 Despite getting a second season, Nellyville ended unspectacularly. That said, don't be surprised to see Nelly's face on screen again in the future. 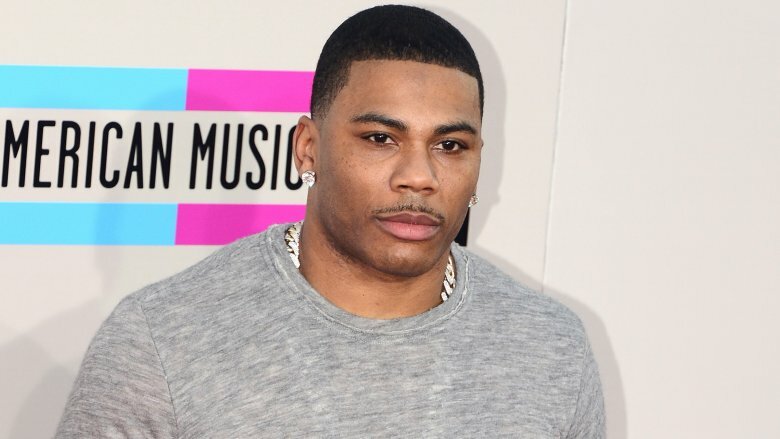 Nelly's record sales have experienced a steady decline over time. Brass Knuckles debuted at No. 3 on the "Billboard Top 200" in 2008, mostly due to the success of the album's lead single, "Just a Dream" (via Billboard). In total, Brass Knuckles sold 223,000 albums by September 2010. While still enough to be certified gold, it was the lowest number of albums sold in Nelly's career up to that point. Then came 5.0, which debuted at the No. 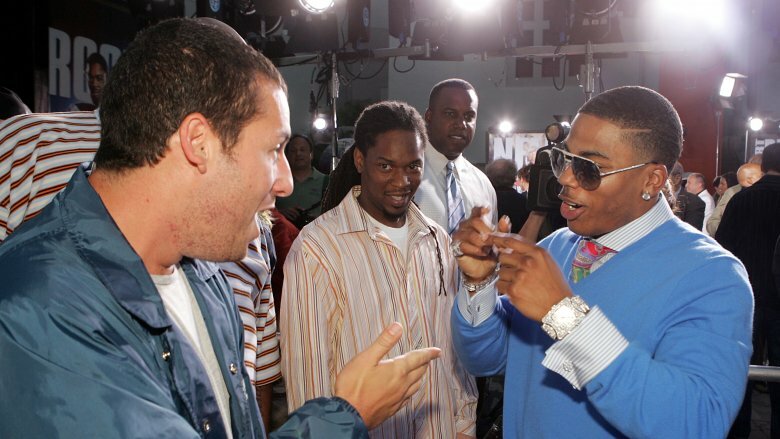 10 spot on Billboard – proof that Nelly's music had clearly fallen out of favor with the masses. 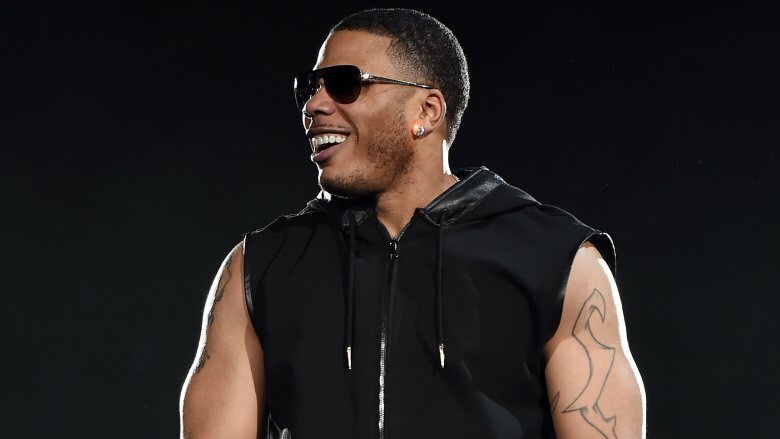 There was some hope that Nelly could stage a comeback in 2015, when he released a single called "The Fix," but when asked by BigBoyTV if an album would follow, Nelly exercised caution. "Possibly," he said, "We taking our time with this one. We'll drop another one. If it leads there, so be it. If not, you know, there's no big deal. I don't see it as a big deal anymore." Needless to say, that album never materialized, and it's unclear if another full-scale project ever will.